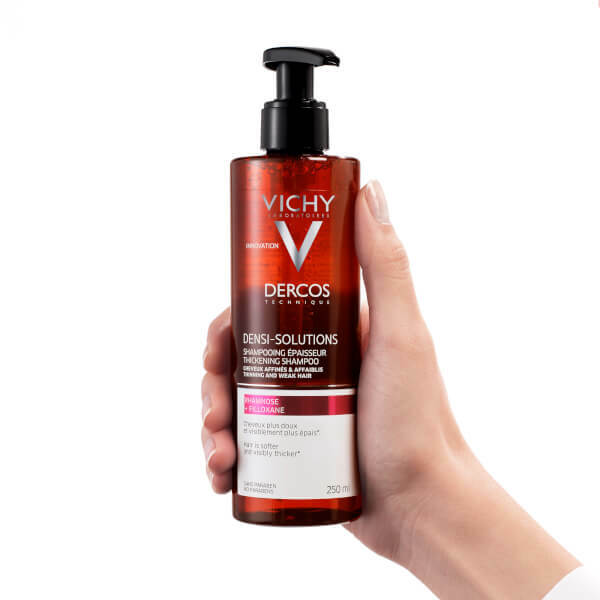 Catering specifically for weak, thinning hair, Vichy's Dercos Densi-Solutions Thickening Shampoo gently cleanses and softens strands, whilst promoting a stronger, thicker appearance. 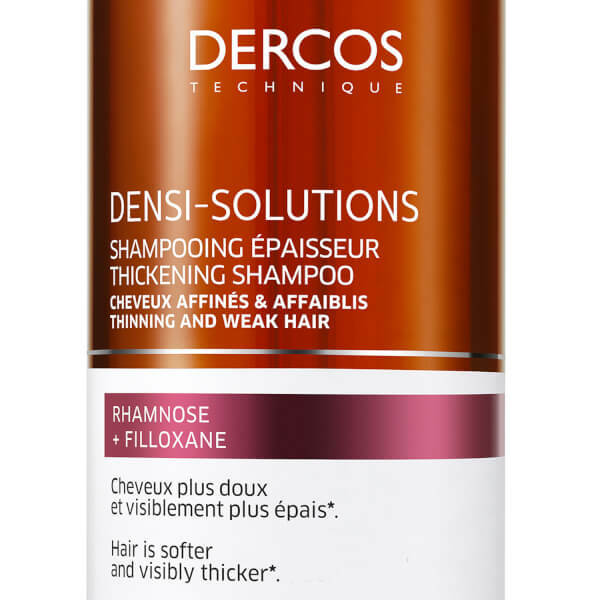 Harnessing the volumising powers of Filoxane and Rhamnose, the lightweight, body-enhancing formula effectively eliminates impurities from the hair and scalp, whilst reinforcing the hair fibre to reveal a denser, healthier head of hair. 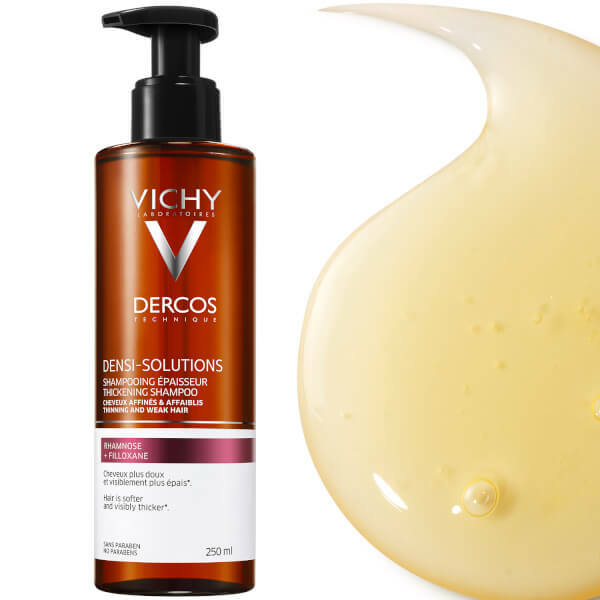 Restores natural volume, shine and bounce for a salon-worthy finish. 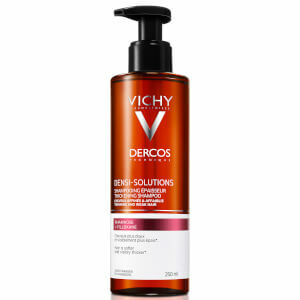 Apply the shampoo on the hair scalp and damp hair. 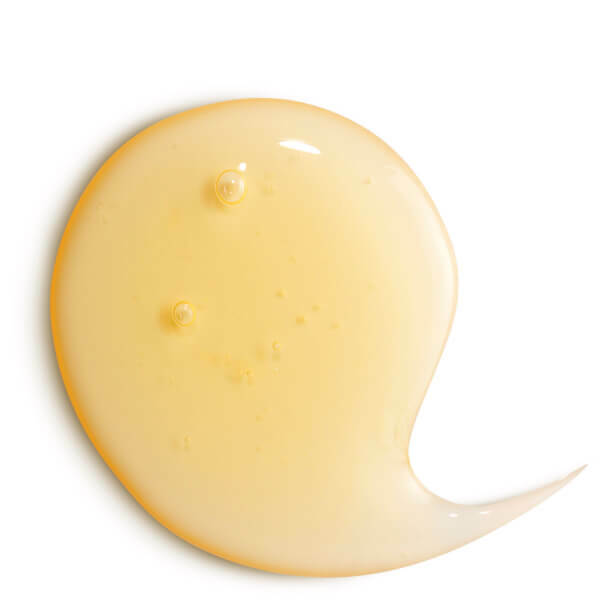 Massage gently then rinse. 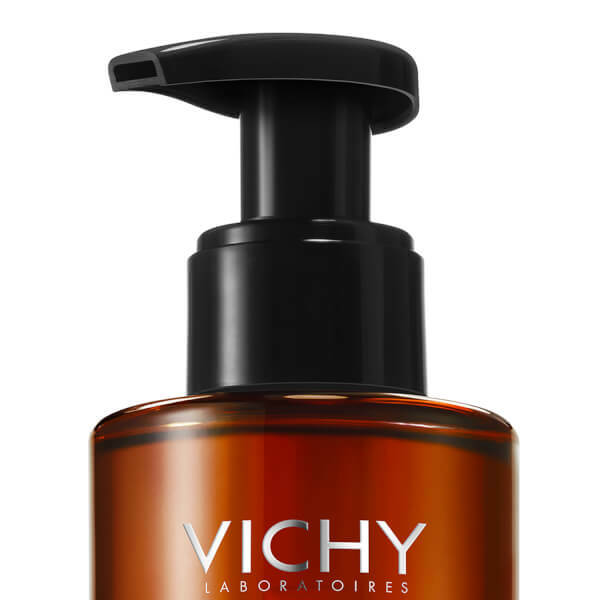 Aqua/Water, Sodium Laureth Sulfate, Cocamidopropyl Betaine, Sodium Lauryl Sulfate, Laureth-5 Carboxylic Acid, Aminopropyl Triethoxysilane, Amodimethicone, C11-15 Pareth-7, Caramel, Chlorphenesin, Citric Acid, Disodium Edta, Geraniol, Glycerin, Hexyl Cinnamal, Isoeugenol, Lactic Acid, Laureth-9, Limonene, Linalool, Mentha Piperita Oil/Peppermint Oil, Menthol, Peg-55 Propylene Glycol Oleate, PEG-60 Hydrogenated Castor Oil, Phenoxyethanol, Piroctone Olamine, Polyquaternium-67, PPG-5-Ceteth-20, Propylene Glycol, Rhamnose, Salicylic Acid, Sodium Chloride, Sodium Hydroxide, Sorbic Acid, Tocopheryl Acetate, Trideceth-12, Parfum/Fragrance.